This statistic represents the minimum Arctic sea ice extent from September 2007 to September 2018. 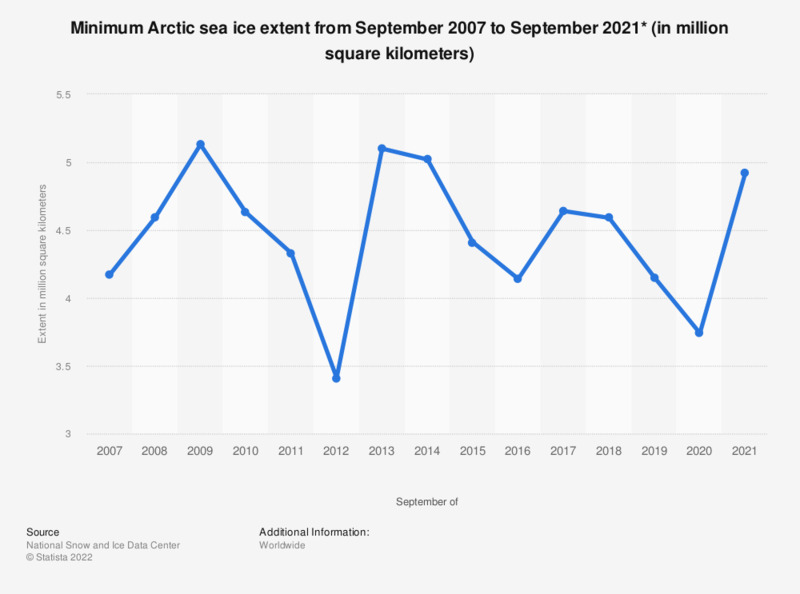 In September 2018, the seasonal minimum extent of the Arctic sea ice reached about 4.59 million square kilometers (about 1.77 million square miles). The figures refer to month's minimum. Please note that the minimum extent was reached on different dates during September of the respective year. The figures for 2007 through 2017 are taken from previous press releases.